Welcome to the Cobblestone Inn & Suites in Winterset, Iowa. Our beautiful hotel is conveniently located near everything that Winterset, Iowa has to offer including Madison County Health Care System, Winterset – Madison County Airport, and more. Our hotel provides easy access for traveling to and from U.S. Highway 169 and Iowa State Highway 92. Located west of Interstate 35 and south of Interstate 80, our hotel is within 40 miles of Des Moines, Iowa. In town for business? 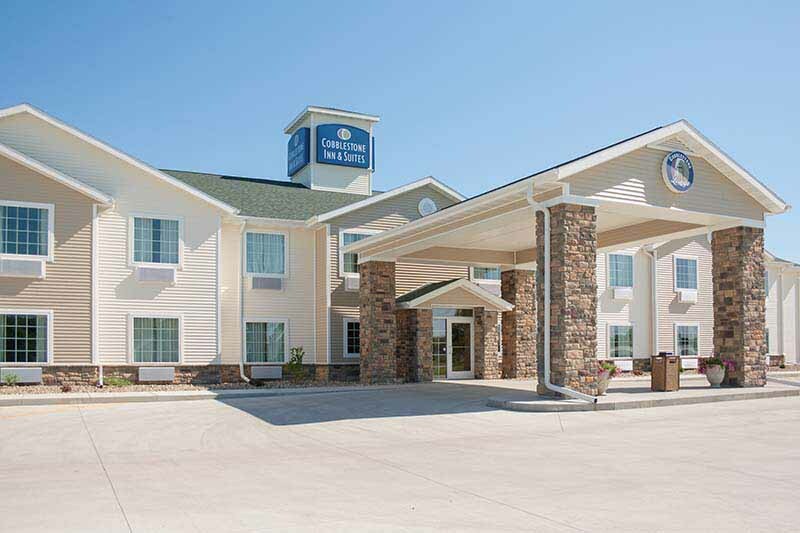 The Cobblestone Inn & Suites of Winterset, Iowa offers easy access to QHC Winterset Care Facilities, Madison County Auction, Merchandising Frontiers, Grip-Tite Manufacturing Co, Graphic Creations, Mahle Filter Systems, and much more! In town for some fun? Check out Roseman Bridge, Madhaus Gallery, the Covered Bridges Winery, the Village Bootery, Northside Café, and more.